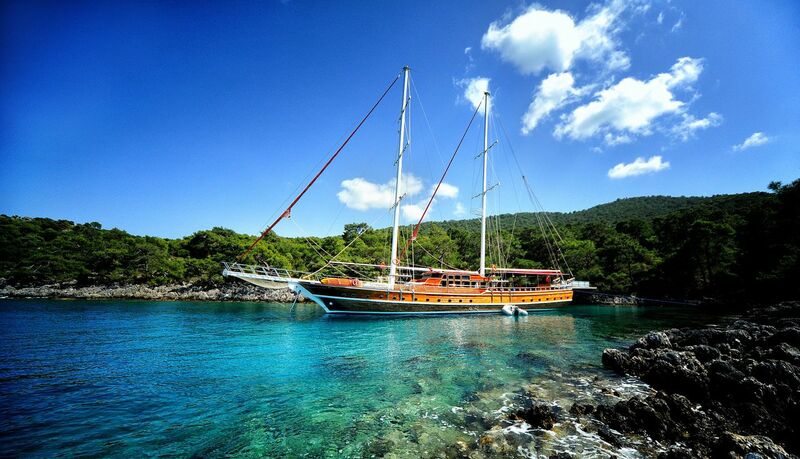 The Gulet invites you to experience the best yachting holiday along the magical turquoise coast of Turkey with its fascinating blend of natural unspoilt coastline, historical sites dating back to ancient Lycia, warm and friendly people, wonderful climate and gourmet cuisine. The crew is very educated and have been assigned to ensure the safety and convenience of guests. They will offer you a full service including; cooking, cleaning, servicing, and organizing daily activities. The crew knows instinctively when guests are in need of service and when privacy is necessary retract to a distance. They have their own separate accommodation and bathroom facilities.